In a perfect world, you could tap into your home equity and lower your mortgage interest rate at the same time. But because interest rates rise and fall over time, this simply won’t always be the case for homeowners in need of cash. This is especially true these days as the great bulk of existing homeowners out there locked in mortgage rates at all-time lows. This has created an interesting problem – homeowners are sitting on the most available home equity in history, yet very few are tapping into it. The reason being is that most don’t want to give up their 3.5% 30-year fixed mortgage in exchange for one closer to 4.75% or even higher. After all, doing so will hit their monthly housing payment twice – once via the higher interest rate, and a second time via the larger loan amount associated with the cash out refinance. For some, this could create qualification issues if DTIs are maxed out. And for others it’s just not an attractive option. At the same time, there are few other places (if any) where you can borrow money more cheaply than via your home. Clearly credit card interest rates are sky-high, as are any personal loan options. So even if rates have risen since you last purchased your property or refinanced, cashing out will likely still be the cheapest option. So what are you to do if you need cash and interest rates are unfavorable? Well, one obvious place to turn is a second mortgage, that way your existing home loan will be untouched interest rate-wise and remain on track to be paid off. The main drawback to a second mortgage, such as a HELOC or a home equity loan, is the fact that interest rates are higher relative to first mortgage rates. How much higher will depend on your specific loan attributes, such as loan-to-value ratio (LTV), credit score, property type, etc. Those who have a large amount of equity and are able to keep LTVs at or below 80% should enjoy fairly reasonable rates. Conversely, if you don’t have a ton of equity and need an LTV of 90% or higher, it could get pretty expensive. This is especially true if your credit score is marginal or if the property isn’t an owner-occupied single-family residence. Another problem with the second mortgage route is that the Fed keeps raising rates, which in turn leads to a higher prime rate. HELOCs are tied to prime, so your rate could keep inching higher and higher as the Fed gathers and determines inflation is a concern. But as noted, you’ll be able to access cash in your home and keep your first mortgage intact, which can be quite valuable if you’ve got a super low fixed interest rate. And as noted, you probably won’t find a lower interest rate elsewhere other than on a first mortgage. Speaking of, you can always bite the bullet and refinance your first mortgage and pull cash out in the process. Yes, you’ll lose your existing interest rate, but it could still be the cheapest alternative depending on the alternatives. While mortgage rates have risen this year, they’re still very attractive historically, and not all that much higher than they were. For example, the 30-year fixed was around 4% to start the year, and now closer to 4.75%. Yes, it’s higher, but it’s not tremendously higher. And it’s possible you could be refinancing a mortgage that wasn’t ideal to begin with. A lot of first-time home buyers put little to nothing down, meaning they’re often saddled with mortgage insurance and higher interest rates relative to the best available. So for some homeowners, refinancing the first mortgage could actually result in a lower rate with cash out, or simply a lateral move. 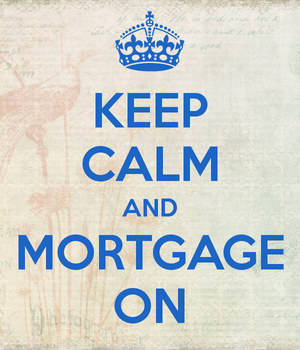 If you can drop the mortgage insurance in the process and get cash, it’s a win-win. Same goes for those who had poor or average credit when they first took out a home loan and have since seen their scores go up thanks to some positive mortgage history. There’s always this assumption that you either already have a 30-year fixed or will be refinancing into a 30-year fixed. This clearly isn’t always the case, as there are plenty of alternatives to the 30-year fixed, including both fixed and adjustable-rate options. An existing homeowner in need of cash could move from a fixed-rate mortgage to an ARM, or from an ARM to a fixed-rate mortgage. For example, someone who plans to move in the next 5-7 years could take out a 5/1 ARM or 7/1 ARM and enjoy a lower fixed rate for the entire duration they stay in the property. Or a borrower with an ARM could simply refinance into another ARM to keep monthly payments at bay. Some individuals have little interest in paying off their home loans in full, and are just happy to gain access to money at attractive rates so it can be deployed elsewhere. Moving from an ARM to another ARM could mean access to cheap money, with a fixed rate for a period of time (five or seven years in the above example) to keep that level of certainty around. Put simply, there are lots of possible scenarios that should be explored when it comes time to refinance. One final option is to just hold off on the cash out refinance and look for other ways to get the money you need for whatever it is you need it for. This could mean pumping the brakes on a remodeling project that’s a want, but not necessarily a need. Or simply cutting expenses elsewhere so you can begin saving up the cash you need to make that desired home improvement. Alternatively, you could look into a 0% APR credit card, as I’ve mentioned before. It might not be for the faint of heart, but if you can borrow a decent sum of money and pay no interest for around two years, that could be a solution too. All without having to touch your mortgage, or go through the sometimes-painstaking process of completing a mortgage refinance. Just be disciplined and absolutely sure you can pay it back in time before the 0% APR goes away. If history tells us anything, homeowners are going to tap into all that equity one way or another. There’s simply too much money up for grabs for them not to. How you do it is important, so be sure to take the time to explore all your options.